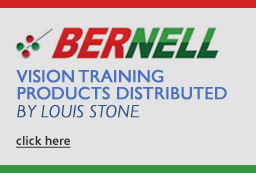 We are an official distributor for Oculus Trial Frames, Bernell Low Vision Products, Ishihara Colour Blind 10, 14, 28 & 38 Plate Tests, Stereo Fly and Butterfly Tests, Eidolon Bluminators and a major supplier of all Volk lenses including 90D and Superfield Volks. 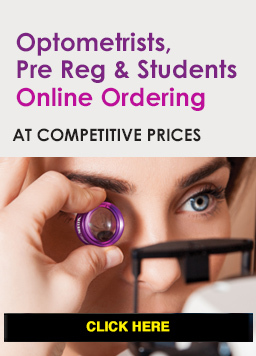 Also we are a major stockist of city and abdo rules, retinoscopy racks, optical confirmation flippers, and full and reduced aperture trial sets. 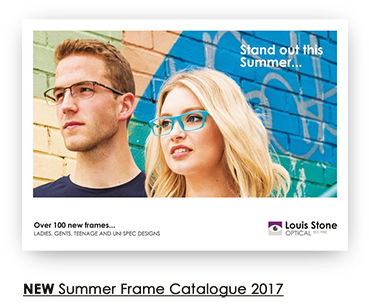 With over 100 new models, we're thrilled to be introducing our new Scandinavian hygge collection to this latest frame catalogue. Joining it will be hi frames ideal for children & teenagers, as well as our popular and fast selling i wear, Icy Eyewear and Traditional glasses, for ladies, gents, unisex, teenage & children's styles. All stocked in a variety of colours & sizes. With a collection of over 80 acetate, 300 plastic and over 250 metal models, look no further for your perfect frames. We carry an exciting range of spectacle cases in plastic and leather look materials in many vibrant colours. New products include the Millbrook, Woodside & Pandas Case, Micro Fibre Lens Cloth and a new improved Frame Display Case in a strong rubberised outer material. We also offer a precision case and lens cloth print service if required. All spec cases come with a price match guarantee. 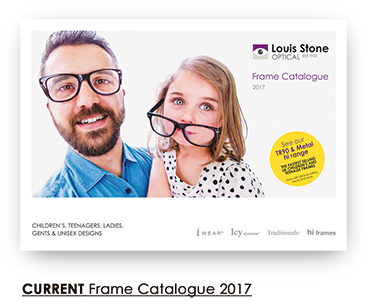 All Contents © Copyright 1950-2019 Louis Stone Optical Ltd. All rights reserved.